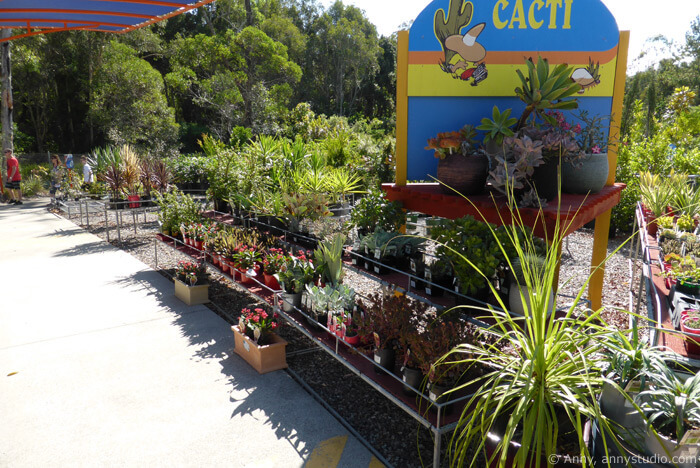 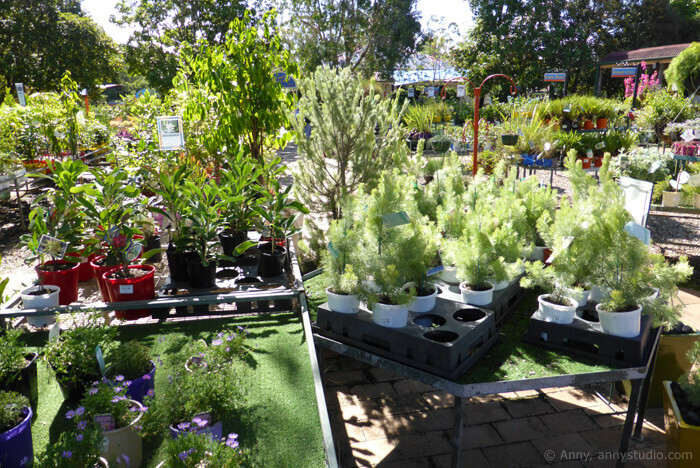 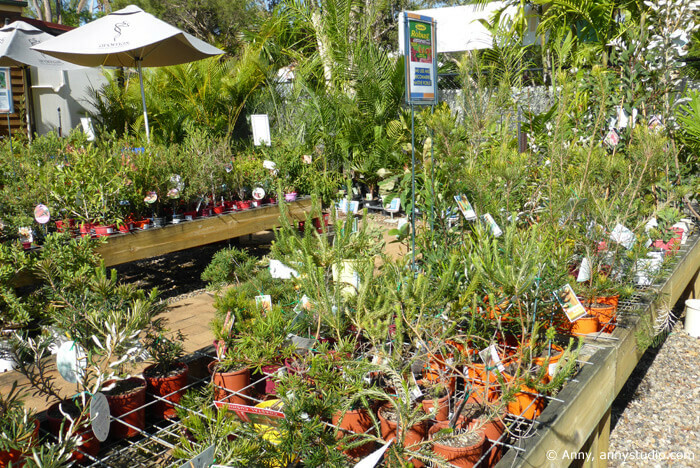 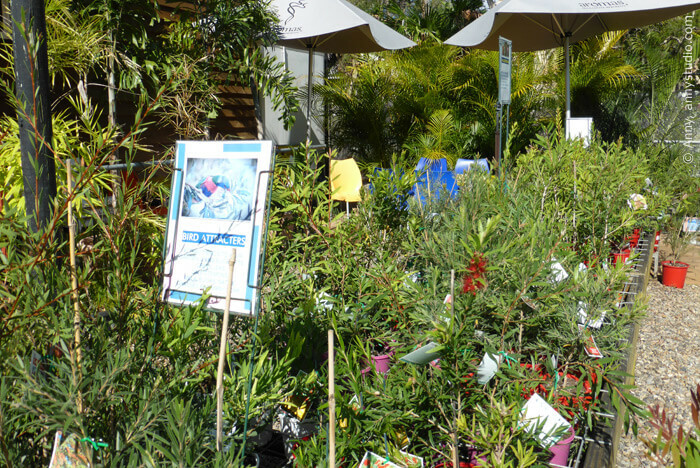 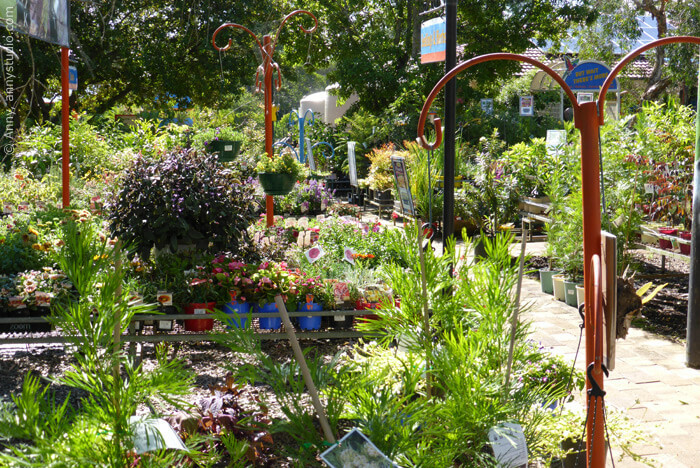 Nielsen's Nursery is great place to shop for Australian native plants: eucalypts, leptospermums, callistemons, banksias, grevilleas, rainforest plants... 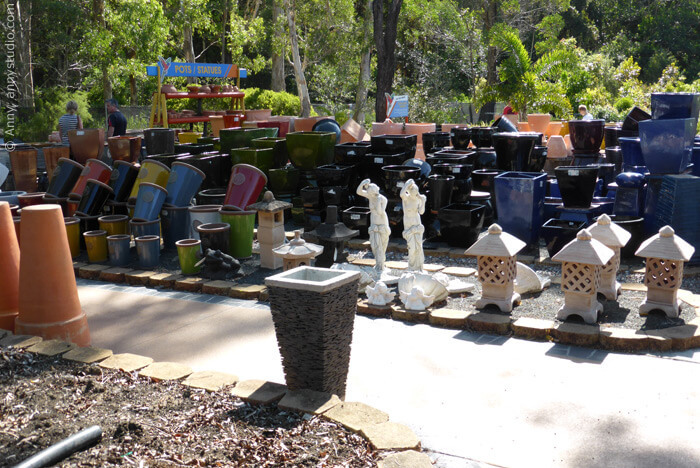 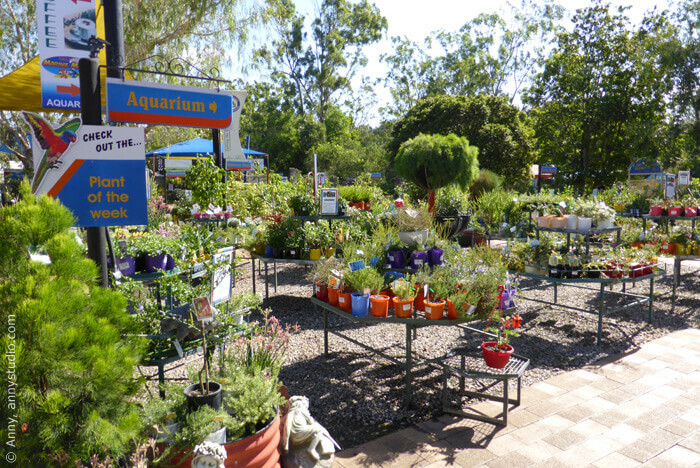 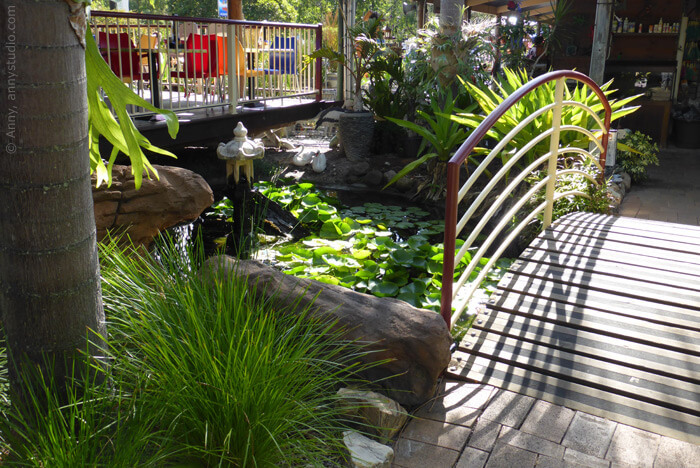 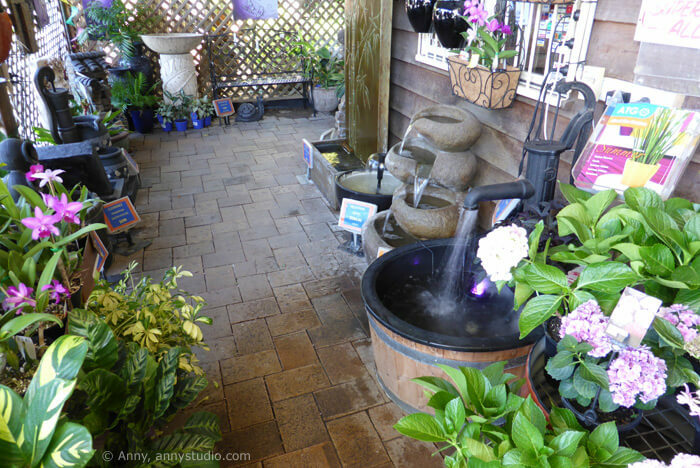 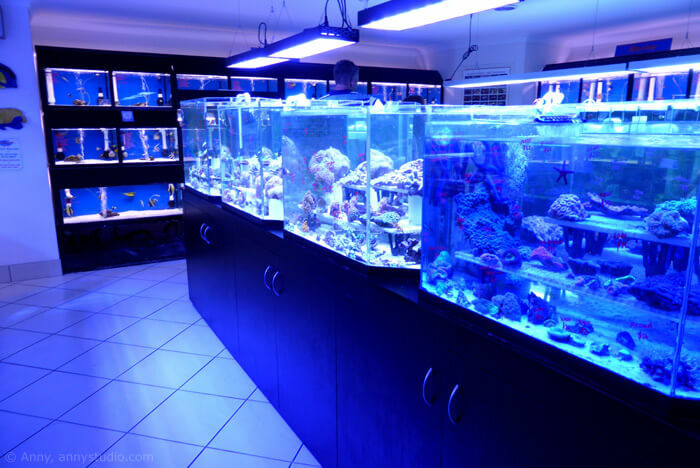 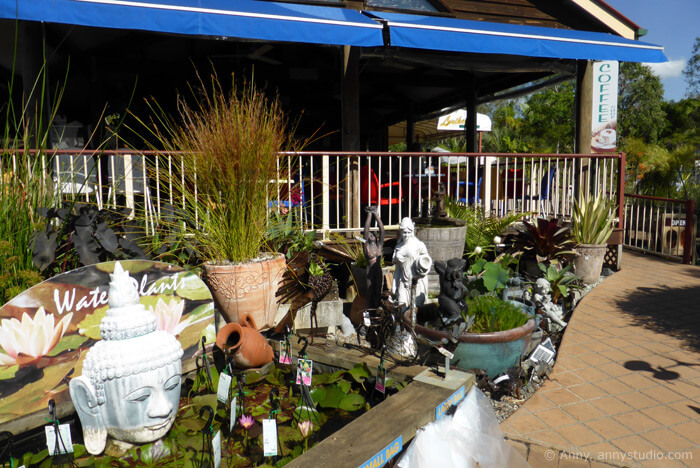 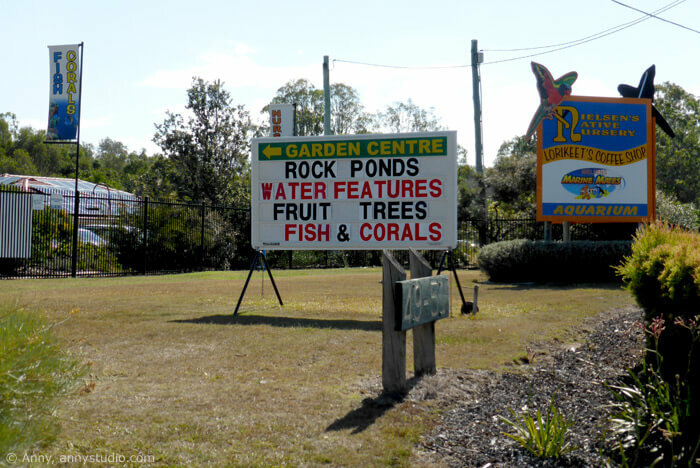 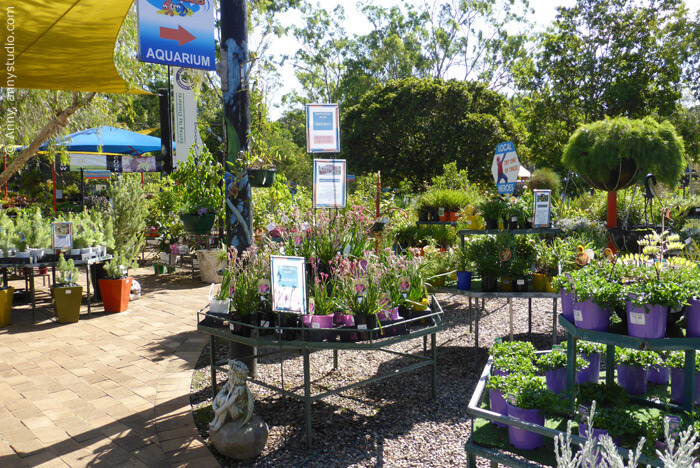 In addition to the extensive range of Australian plants, they have an impressive array of exotic plants, fruit trees, herbs, flowers, water plants, pots, garden statues, water features, a beautiful aquarium and a nice cafe with a view to the plants and the pond. 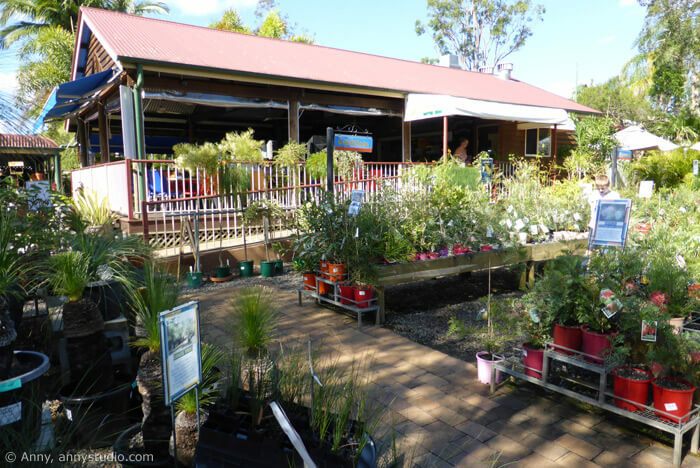 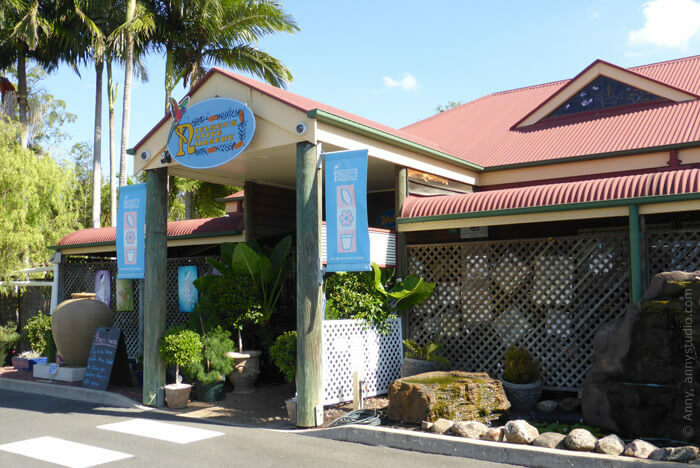 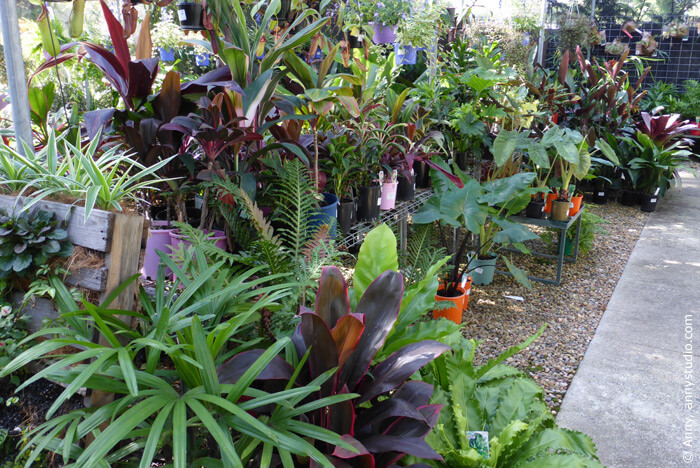 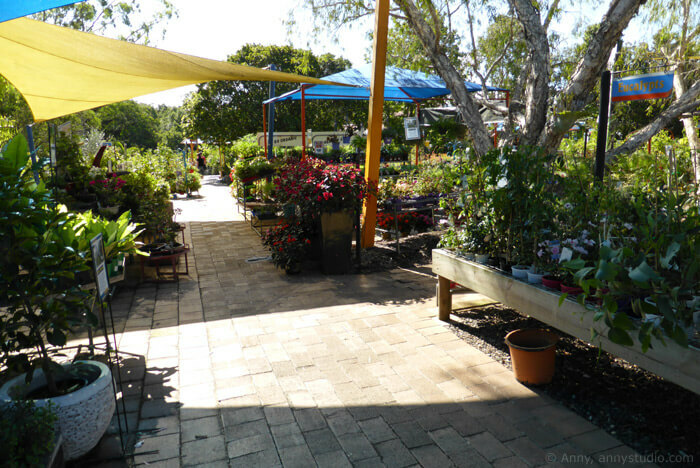 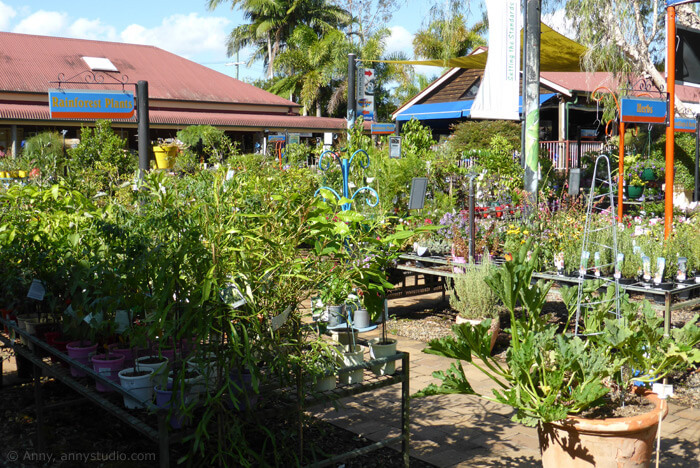 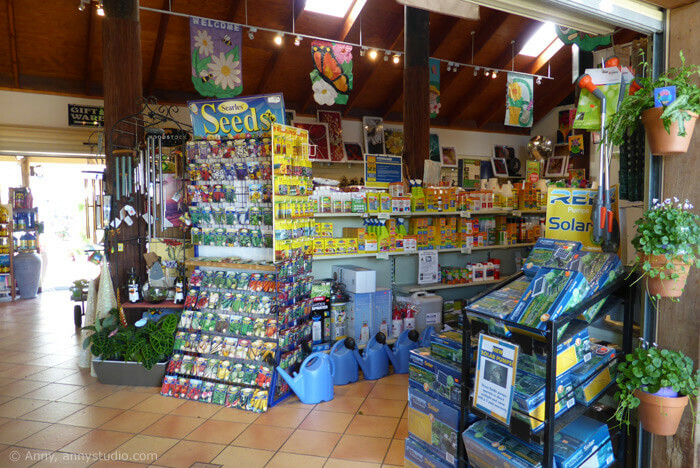 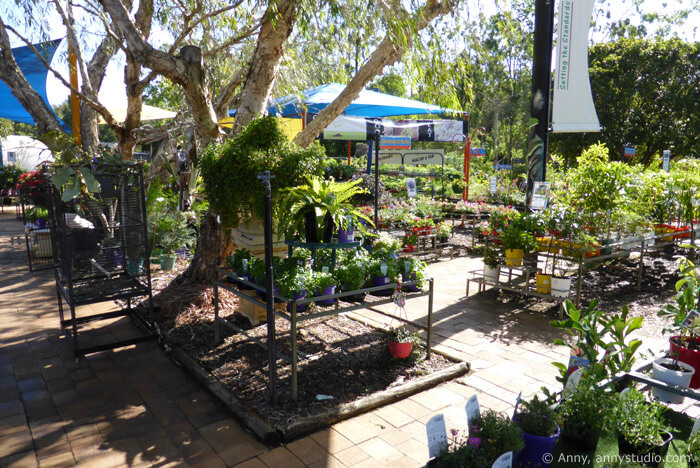 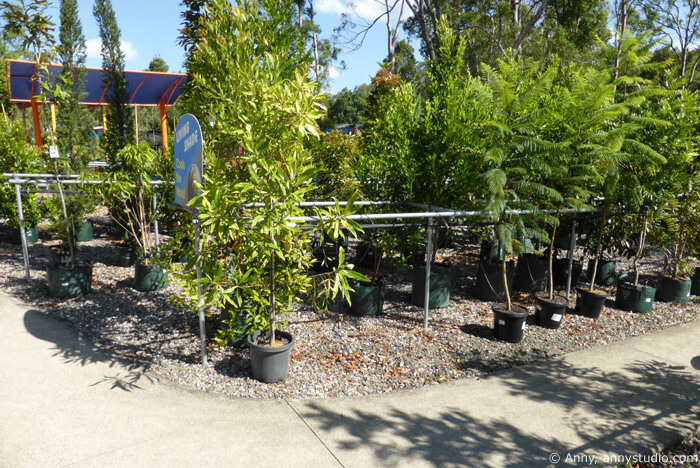 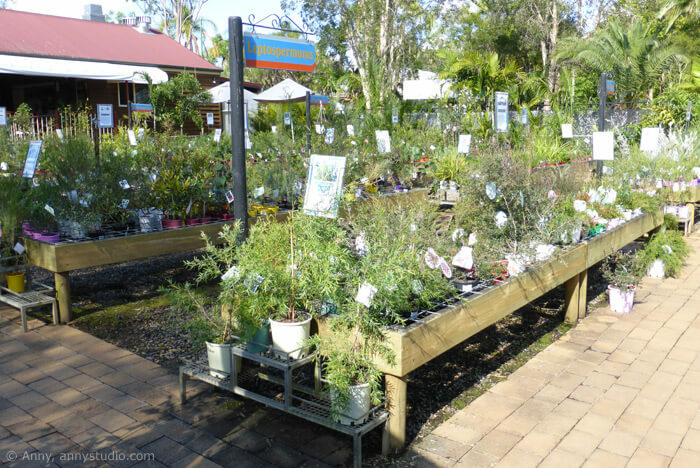 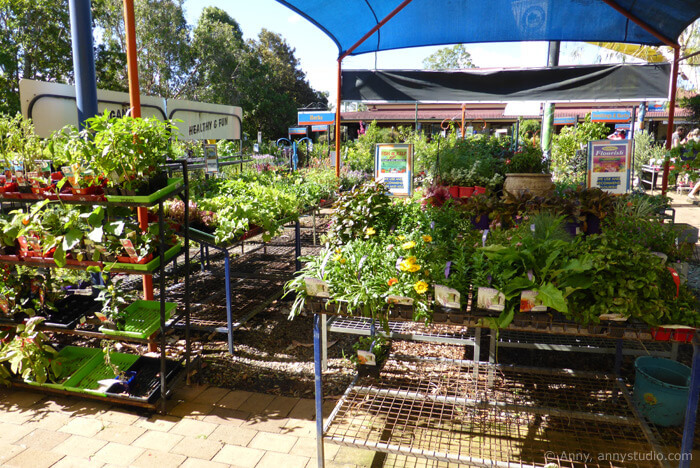 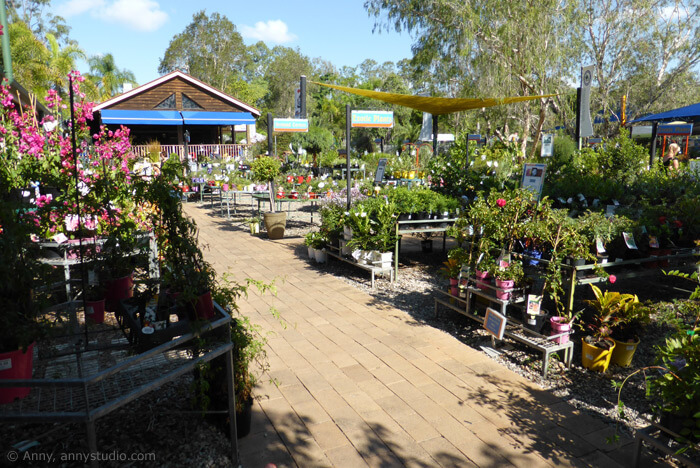 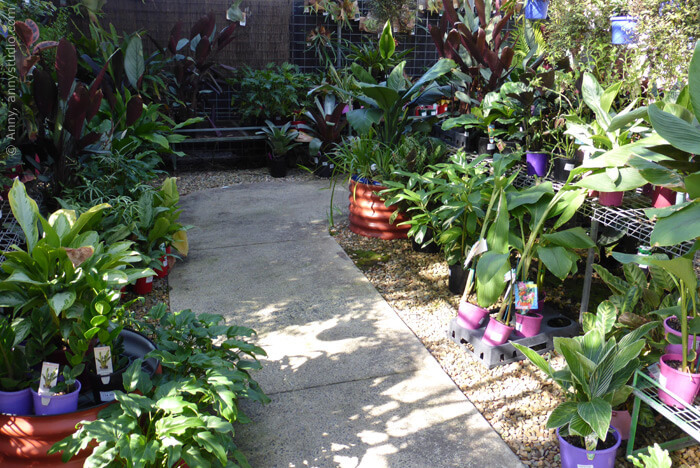 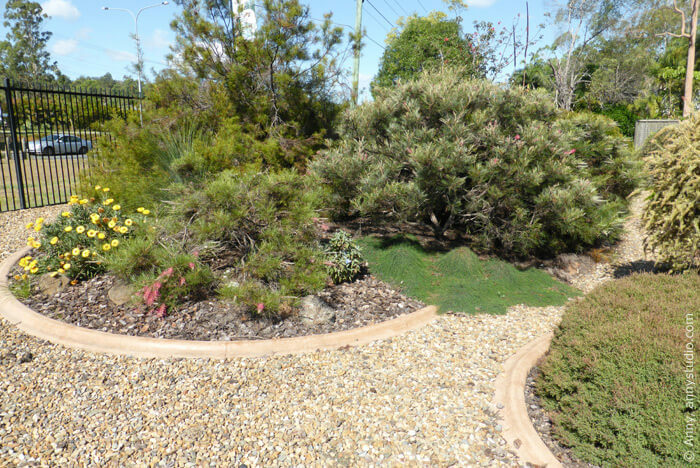 The Nielsen's staff is knowledgeable and helpful, and the nursery is doing a good job of promoting the use of Australian native plants in South East Queensland gardens. 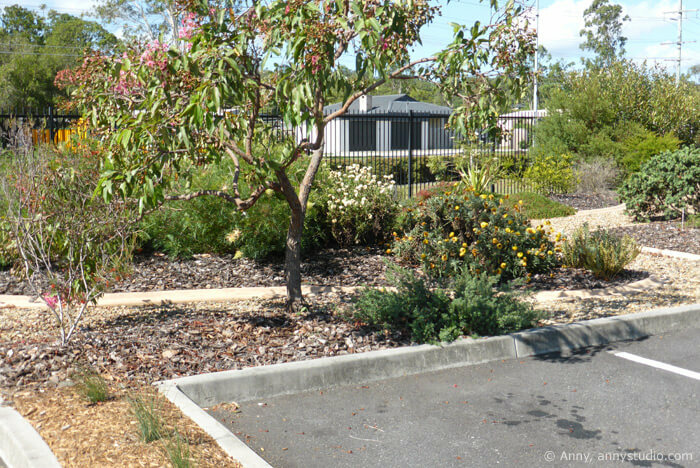 The nursery's car park is decorated with native plants and is great place to see what the plants will look like as they grow. 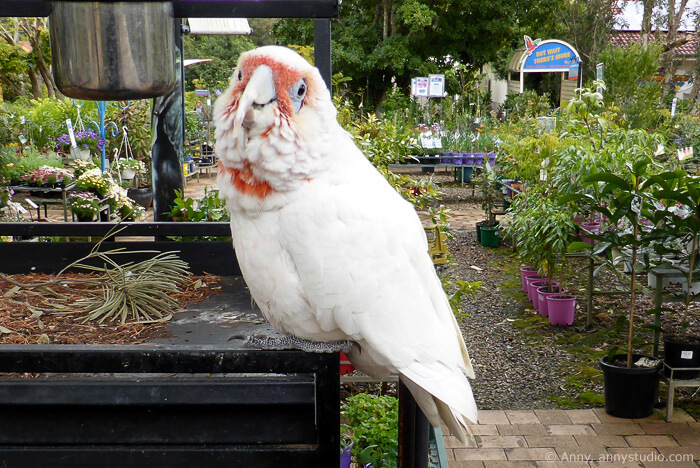 Casper the long-billed corella, the nursery's welcoming committee. 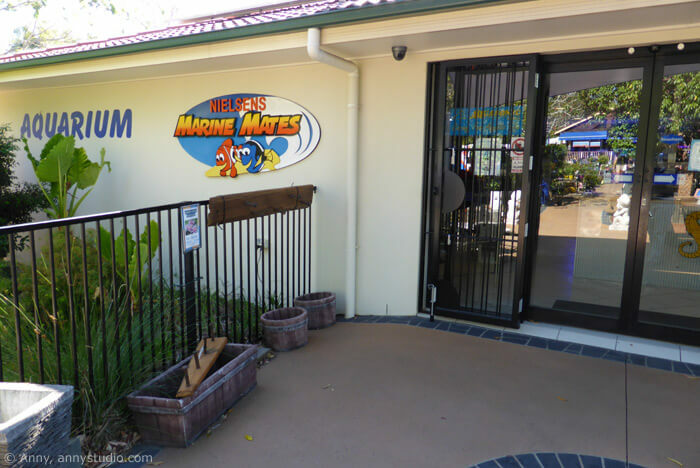 When he is in a social mood, he likes to say “Hello!” and “Give me a scratch.” Otherwise, he is usually seen snacking, grooming himself or snoozing during the hot hours of the day.